Does the Home You’re Buying Contain Lead? Naturally, before buying a new home you want to be sure it will be safe for your family to inhabit. You need to be especially careful when buying older homes, as these properties may contain materials that we now know to be extremely dangerous, such as lead paint. Here are the most important steps to take in order to determine whether or not the home you’re buying contains lead. 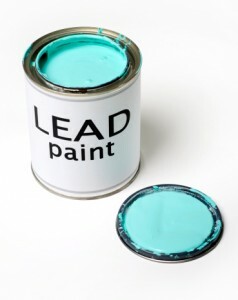 Lead paint was banned for consumer use in 1978, but millions of older homes still contain layers of lead paint, often sealed beneath layers and layers of new paint. Remember, just because the lead paint is covered doesn’t mean it is no longer dangerous! When the top coats of paint become damaged, the lead paint gets exposed and can then deteriorate into chips, flakes, or dust, which may then cause lead poisoning. Before renovating a home built prior to 1978, you need to get a lead paint inspection so that the work can be done safely. Lead is a naturally-occurring element, but in high concentrations it can cause serious health problems, including nervous system ailments, kidney problems, and high blood pressure, as well as learning disabilities and behavior problems in children. In order to avoid inadvertently exposing yourself or your family to lead, it is vital to consider lead safety before beginning a renovation, especially in a home built before 1978. The first step is to get old paint tested to determine if it contains lead. In general, any layer of paint applied between 1940 and 1978 has a high likelihood of containing lead. Be sure to get interior and exterior paint tested. While exterior paint won’t contaminate your home, it will contaminate the adjacent soil which can be just as dangerous, especially for young children.